Here we were early on a sunny, hot Saturday morning and we were off to our next battle. 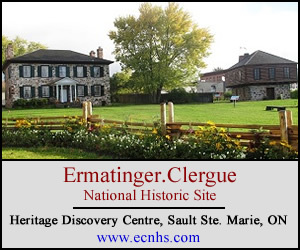 It was the War of 1812 and we were heading east to Morrisburg and Canada’s renowned pioneer village, Upper Canada Village. Morrisburg is a quaint little town nestled along the beautiful St. Lawrence Seaway halfway between Brockville to the west and Cornwall to the east. You can almost reach out and touch the United States. It’s no wonder that this area was the scene, in 1812, of so many battles and skirmishes between British and American forces. Now, in 2008, over 350 re-enactors had gathered at Crysler’s Farm. They were there for the annual 1812 Military Re-enactment. Pitched tents had been set up in neat rows on the farm’s ground. The re-enactors were making themselves at home. They were getting ready for the three battles that were going to take over the course of the weekend. We weren’t the only ones drawn to the event. As we entered the Village’s grounds, we joined a long line up of cars waiting to pay their admission fee. Once we were through the admission area, we proceeded to the parking lot and parked our car. We immediately headed for Crysler’s Farm and the re-enactment battlefield. The American forces were waiting for us! On our way to the battlefield we became side tracked at the re-enactment encampment! The American’s would have to wait! If you have never been to a re-enactment and walked through their encampment, you have missed a great experience. Unlike us 210 century folk with our generators, propane barbecue, quick opening tents and air mattresses, re-enactors are made from sterner stock! Everything they do and have is authentic. They cook their food and heat their coffee (not Tim’s) over an open fire. They wear hot itchy clothing. Their chairs and bedding is lumpy and vintage. For these hardy re-enactors it’s a way of life! At least it is, on re-enactment week-ends! Judi and I walked through the encampment talking it all in and this was the largest we had seen to date. One of the organizers told me that there were over 350 re-enactors participating! Next year they are looking at the possibilities of over 1000! The neat rows of tents stood gleaming in the sunlight. Groups of soldiers and their families stood talking about the upcoming battle and the day’s activities. Merchants, in their crowded tents stood ready to help anyone who entered. We passed the field hospital tent. The doctor was in! He was ready to attend to the sick and injured after the battle was over! Tools of the period were cleaned and ready to be used! As we were ending our journey through the encampment, I noticed groups of soldiers starting to form ranks. We decided it was time to head to the battle area. We followed others who had the same intention. The treed hillside overlooking the battlefield was almost full. Judi and I found a clear spot and set up our “light weight” folding chairs (2100 century!). We were all set for the upcoming battle! On the side lines of the field, children (girls and boys) were lined up eager to be given their wooden guns, soldier’s hat and uniform jacket. They were going to be trained as “auxiliary” troops! Both children and parent were thrilled at the opportunity. As I was waiting for all the children to receive their equipment, I spied Tracy Ogilby, the supervisor of Upper Canada Village special events. Tracy was racing around making sure that everything was running according to plan. Finally the kids were all outfitted and were ready to go! The platoon officer marched them out onto the parade ground and showed them what she expected of them! Finally, when she thought they were trained enough, she gave them the order to charge the crowd on the hill! With piercing cries they charged the crowd. Thankfully the roped barrier stopped them from ripping us apart. The audience loved the kids and their enthusiasm! With the training and demonstration over, the kids march smartly off the field. The battle re-enactment was officially opened and guests were welcomed by the local Member of Parliament. As the opening ceremonies proceeded, a number of cannons were pulled onto the field. There was going to be a cannon competition! Each team stood by their cannon waiting for the order to commence. Once the command was given each team began to prepare their cannon for firing. The object was to quickly, but correctly be the first to fire the cannon. This would win the team the competition! All teams worked frantically but in the end there could only be one winner! Once all the cannons were fired, the competition was over and the winning team declared and congratulated. After the roar of the cannon, all the cannons were pulled away and taken to their battle positions. With the formalities out of the way, the battle could begin. After all, “the Americans had come!” They had “landed” on Canadian shores and were ready for a good fight! The British soldiers marched onto the battlefield in formation and then started their tactical maneuvers. With that the true battle had begun! First the British fired and then advanced. Cannon and rifle sound and smoke filled the air! Volley after volley was fired by each side. First the British would attack and then the Americans would counter attack! No side seemed to be gaining. As the battle raged on soldiers from each side fell! The Americans started to move forward again. This time with more force! The British and Canadian troops started to retreat. Finally the British commander requested a parley. The Americans had carried the day (this time!). 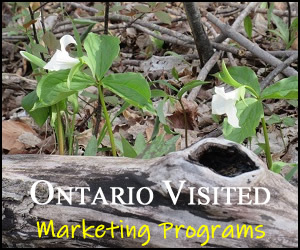 We had stayed overnight in Brockville and travelled the next morning to Morrisburg and Upper Canada Village. It was time for the Battle of Crysler’s Farm! Our visit to Upper Canada Village and The Battle of Crysler’s Farm was outstanding! We were surprised to discover their new “Discovery Centre”. It is interactive, informative, and fun! It is so unique and we feel all that “kids” young and old will really enjoy! The battle re-enactment was amazing! Hundreds of re-enactors portrayed what happened at one of the many skirmishes that place of the farm between the British and Canadians and the Americans. This year’s re-enactment included one of the Tall Ships. Sometimes an opportunity arises and you hesitate about taking it or not! This summer I had an opportunity to me to sit in the “Media” area. My choice was to use my “natural instincts” about where to go to get the “Best View“! Crowds had gathered at the Battle of Crysler’s Farm at Upper Canada Village in Morrisburg for their battle re-enactment. Hundreds of folks flocked early to obtain great seats along the hill embankment along the tree lined field. The Festival Nomad took a spot down near the front so he could get a different vantage point then me. My spot was at the base of a single tree at centre field. Here my view was spectacular as the Battle took place centre field. With the height of my vantage point, I could get great “shots” over the heads of all the people. The Gary and I use “walkie talkies” to communicate during an event (with ear pieces to not bother fellow visitors). We were able to queue each other as to when to shot, look, see the action. This was extremely handy when all my attention was on the Battle, yet the Festival Nomad saw Tall Ships entering the waterway, or cannons about to be fired. This was a decision of “trusting your instincts” that was correct.